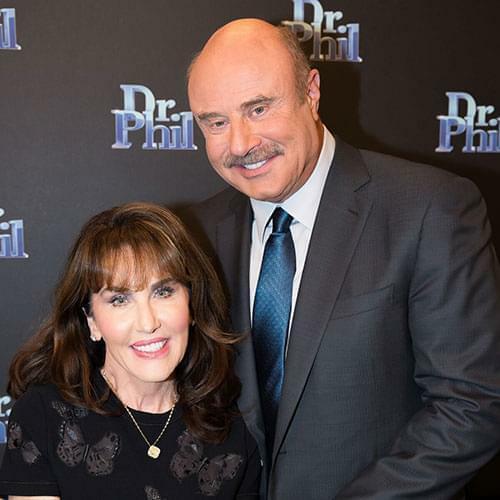 During the past 15 seasons, there have been a number of mental health treatment programs that have assisted Dr. Phil guests in resolving their issues. 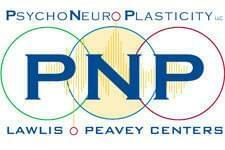 The Lawlis Peavey PsychoNeuroPlasticity (PNP) Center has been founded with the primary mission of providing objective diagnoses and treatment programs for individuals dealing with problems involving neurological issues and related symptoms. Because multiple sources can impinge on functioning, a broad integrative assessment approach is used to develop an individualized treatment plan. Through a multifaceted diagnostic and treatment program, a multidisciplinary team of health care professionals will find solutions to the variety of challenges in neurological and psychological development. The Lawlis Peavey PNP Center is accepting children, adolescents and adults with Attention Deficit Disorder (ADHD), mood disorders, bipolar disorder, obsessive-compulsive disorder, anxiety, depression, memory and attention disorders as well as other neurological and spectrum disorders. Since 1989, Creative Care’s mission is to understand early experiences and underlying causes that manifest as mental health difficulties and addiction struggles throughout adulthood. Creative Care’s founders and current owners, Drs. Morteza and Karen Khaleghi, pioneered a dual diagnosis approach in the treatment of addiction and have dedicated their lives to caring for clients and their families. With the unwavering and unparalleled efforts of Creative Care’s professional staff, Creative Care continues to utilize a biopsychosocial approach, a psychoanalytic frame, and evidence-based practices to get clients and their families on the road to recovery. Utilizing compassion, integrity, and spirituality, Creative Care implements individualized treatment plans to assist clients in connecting the dots and improving their quality of life. Our clinical team is made up of compassionate, experienced professionals trained in a wide variety of therapeutic modalities that are employed to meet the needs of each individual Client. Each Client at Creative Care receives a comprehensive assessment by our triple-board certified psychiatrist and our seasoned clinicians, ensuring diagnostic accuracy through psychological evaluation, physical examinations, and clinical observation. Our Dual Diagnosis Treatment Program is currently offered at our Woodland Hills facilities and will also be offered in Malibu in summer 2019. Our Mental Health Treatment Program is currently offered at our Calabasas facilities. For more information, visit: www.creativecareinc.com, or call the Admissions line at (800) 832-3280 to speak to an admissions counselor. 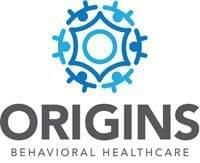 Origins provides integrated inpatient treatment for substance abuse and co-occurring disorders. Clients receive expert medical, clinical and spiritual care designed for their individual needs. Origins Recovery Centers, nestled beachside on tropical South Padre Island, Texas, as well as in sunny South Florida, provides a comprehensive continuum of individualized alcohol and drug addiction treatment programs for young adults, adults, baby boomers, and older adults including those with co-occurring disorders. Origins’ gender-specific treatment programs unite effective addiction medicine and evidence-based clinical strategies with an immersion in the 12-Step experience. Origins’ programs are designed to provide patients and families with treatment solutions that include intervention and detoxification, 30- to 90-day in-patient treatment, intensive family support, transitional programs and clinically-supervised sober living. For a confidential consultation, call (844) 213-9787 today. To learn more about Origins, click here. 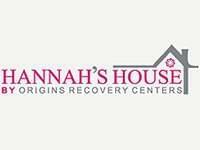 Hannah’s House by Origins provides integrated inpatient treatment designed to meet the complex needs of relapsing, dual-diagnosed women. Clients receive expert medical, clinical and spiritual care designed for their individual needs. Hannah’s House is a gender-separate, trauma-informed addiction treatment program nestled bayside on tropical South Padre Island, Texas. Leveraging the clinical sophistication and 12-Step intensity of Origins Behavioral HealthCare, Hannah’s House maintains an entirely female staff of addiction professionals. Each therapist is a licensed and masters-level and is professionally trained in treating addiction, sexual and physical trauma, co-occurring eating disorders, self-harm behavior, body-image issues and other challenges commonly facing addicted women. The Hannah’s House treatment team includes a Board-Certified Psychiatrist, Internist, Psychologists, Licensed Therapists, Registered Nurses, Dietary Expertise, 12-Step Experts, Ministerial Support personnel and more. For a confidential consultation, call (844) 213-9787 today. To learn more about Hannah’s House, click here. At Onsite, we create life changing experiences. We value change through inspiration and authentic connection in everything we do. We are committed to creating the highest quality experience possible through our passion, innovation and dedication to service. Onsite is the worldwide leader in therapeutic and personal growth workshops. Our life changing intensives have been helping individuals, couples and families overcome dysfunctional patterns and reach their full potential for more than 35 years. Onsite specializes in Trauma, Codependency, Shame Resiliency, Love Addiction, Family Systems, Healthy Sexuality and Intimacy, Spiritual Growth, Relationships, Stress and Burn Out, Second Stage Recovery, Anger Management and Process Addictions. 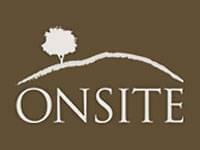 Onsite’s main campus is set among the scenic rolling hills of Tennessee just outside of Nashville. Our team is also available for on-location intensives, trainings and speaking engagements. 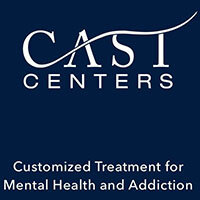 At CAST Centers, their mission is to improve the human experience, in all its unique diversity, beauty and complexity, through their innovative treatment model. They can help you leave behind burdens that have held you back, and allow you to embrace your most authentic, best self. Based in West Hollywood, California, CAST offers innovative Intensive Outpatient and Partial Hospital Programs as well as associated residences where you can take time to reflect on your life experience. They incorporate the latest cutting edge and research-based practices to provide clients with the best care possible. CAST’s proven CAM model is designed to help a person be their best self in every facet of life. Whether that means resolving past trauma, or truly connecting with your passion and purpose, they can help. Call them today for your free assessment: (866) 283-9885 or visit on the web at https://www.castcenters.com. 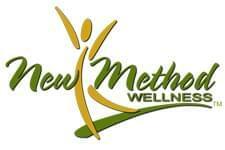 New Method Wellness is a substance abuse treatment center located in an ocean front, San Juan Capistrano community. New Method Wellness provides an array of treatment programs catered to each client’s needs. With an emphasis in dual diagnosis and a holistic, therapeutic approach, New Method Wellness is not your usual treatment center. They are something different. To learn more about New Method Wellness, you can visit their website at www.NewMethodWellness or you can speak directly with an intake specialist at 866-951-1824. 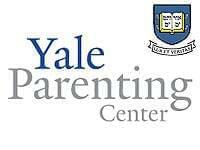 The Yale Parenting Center provides services to children and families who wish help with the normal challenges of child rearing, including toilet training, tantrums, completing homework, social interaction and problems at school. The Center also works with children who are referred for severe oppositional, aggressive and antisocial behavior — fighting, stealing and destroying things — that interfere with their functioning in everyday life. Over a period of 25 years, the Yale Parenting Center has developed evidence-based interventions, evaluated these with federal grants and has new practical procedures for use that can help families. The Center can provide its program in person in New Haven, CT or anywhere live, face-to-face, online by computer, individually with any family that has access to the Internet. The Center is directed by Alan Kazdin, Ph.D., past president of the American Psychological Association and currently professor of psychology and child psychiatry at Yale University. For a preview of the Kazdin Method, visit: www.alankazdin.com. Hanley Center at Origins provides a comprehensive continuum of individualized alcohol and drug addiction treatment programs for adults, baby boomers, and older adults including those with co-occurring disorders. Hanley Center at Origins’ gender-specific treatment programs unite effective addiction medicine and evidence-based clinical strategies with an immersion in the 12-Step experience. The pioneer behind Older Adult and Baby Boomer addiction treatment, Hanley Center’s programs are designed to provide patients and families with treatment solutions that include intervention and detoxification, 30- to 90-day in-patient treatment, intensive family support, and transitional programs. For a confidential consultation, call (844) 213-9787 today. To learn more about Hanley Center at Origins, click here. Gate Lodge at Origins is located on the campus of Indian River Medical Center in Vero Beach, Florida. Coeducational programming unite effective addiction medicine and evidence-based clinical strategies with an immersion in the 12-Step experience. One of only two programs of its kind nationally, Gate Lodge at Origins offers a bridge to a life in sober recovery. Clients learn to practice freedom of expression and honesty in relationships developing skills to safely navigate addiction relapse triggers and life’s inevitable ups and downs. For a confidential consultation, call (844) 213-9787 today. To learn more about Gate Lodge at Origins, click here. 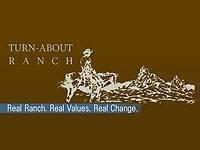 Turn-About Ranch is an intensive short-term therapeutic treatment program located on a working cattle ranch. Turn-About helps repair family relationships and restore values by instilling integrity, respect, responsibility and accountability in youth ages 13 to 17. Turn-About utilizes all aspects of the ranch environment to help youth who are experiencing behavioral, emotional and academic challenges. Their licensed residential treatment program utilizes a broad range of therapeutic services to help even the most treatment-resistant teens get their lives back on track. For more information, please call (800) 842-1165. The Meadows, located in Wickenburg, Arizona, is the premier provider of behavioral health services focused on treating individuals who suffer from complex developmental trauma, addiction, and co-occurring conditions. The Meadows Model of Developmental Immaturity is the basis of their treatment approach. They offer a dedicated Trauma Department and integrated trauma services featuring an innovative Brain Center where patients receive neurofeedback to address brain dysregulation and enhance treatment. Patients benefit from the leadership expertise of a team of Senior Fellows who are world-renowned experts and who guide the treatment approach and provide on-going training of their multi-disciplinary team of providers. Unique to The Meadows is their signature Survivors Workshop which all patients participate in and is a catalyst for change. We embrace family into the healing process for a holistic path to a life of purpose and integrity. To learn more about The Meadows, please visit their website at www.themeadows.com or call their intake specialist at (800) 420-1616. 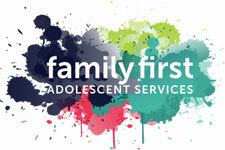 Family First Adolescent Services in Palm Beach Gardens, FL, offers best-in-class treatment for mental health, substance use, and behavioral disorders in adolescents. The goal of Family First Adolescent Services is to help families stop being controlled by mental health and substance use disorders. Together, we can begin building a roadmap based on compassion, boundaries and self-care that families can use together to navigate the lifelong journey ahead of them. Adolescent clients benefit from group therapy, individual therapy, and experiential therapy, and families receive ongoing support including an intensive onsite family program. Our role as a leading treatment center for teens is to help them learn how to find fulfillment in the present and build a better future. To learn more, call Family First Adolescent Services at (561) 328-7370 or visit: www.familyfirstas.com. Wilderness Treatment Center is a 60-day inpatient chemical dependency treatment program for teens and young men between the ages of 14 and 24. Widely known as one of the first and finest wilderness based addiction therapy programs in the world, Wilderness Treatment Center has been successfully treating adolescent and young men with substance abuse disorder for more than 30 years on a 6000 acre ranch in Montana. We combine a conventional 30-day inpatient stay leveraging the principles embodied in the 12 Steps with a 16- to 21-day therapeutic expedition. Each step toward sobriety is carefully managed and addressed through individual and group therapy as well as family, equine, recreational and wilderness therapies. Blending traditional and experiential therapies, the young men and their families create a new beginning, a new freedom, and a new happiness. 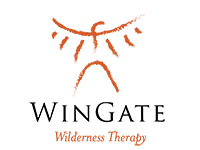 Contact us today at (406) 854-2832 for more information, or visit: www.wildernesstreatmentcenter.com. 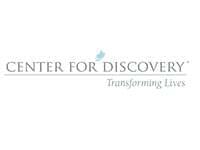 Center For Discovery is a national leader in evidenced-based behavioral health treatment for teens and families. Discovery specializes in treating depression, anxiety, trauma, and substance abuse in adolescents. Treatment teams include experts in the field of psychiatry, physical medicine, psychology, counseling, and dietary science. All Center For Discovery locations are state licensed and Joint Commission accredited – the gold standard in healthcare today. Discovery offers a continuum of care with intensive outpatient, partial hospitalization/day treatment, and residential treatment operating 50 programs nationwide. Center For Discovery is in-network will all major insurance companies and offers financing options. Discovery offers free, confidential assessments and complimentary insurance verification. Of over 2,000 surveyed, 95% of clients and families recommend Center For Discovery. Click here or call to discover why (866) 482-3876. Youth Intervention Transport Services, LLC is usually a last resort for parents to transport their adolescent to a safe and fresh start to a better beginning. Being a last resort doesn’t mean it is a negative choice but a safe choice. Using a qualified professional can be a good experience for a youth. Our staff is comprised of a diverse group of men and women with extensive experience in dealing with a wide variety of clients with different needs. We have the capability to provide your adolescent with the personal attention he or she requires while assisting them through their difficult journey. You can expect our teams to communicate with him/her at each transition. Our record locating and transport staff is a diverse group of men and women who have extensive experience serving a wide variety of clients. Youth Intervention motivates, strengthens, and enlightens all the youths we transport with the assistance and cooperation of their parents. We enjoy the trust of community leaders, parents, and educational professionals as the “lifeline of hope” for adolescents at risk. Safe Interventions, formerly known as Youth Assist, was founded in 1995 and established as a nationwide company that specializes in adolescent transportation services and crisis interventions. At Safe Interventions, they strive to help families in a professional, yet compassionate manner, while always treating the adolescent with dignity and the utmost respect. Michael Montreuil is the owner, lead crisis interventionist and transport specialist for Safe Interventions. In Michael’s 18 years as the owner of Safe Interventions, he has successfully worked with more than 1,400 families. His mission is simple and clear, to get his clients safely to their new program while attempting to counsel and prepare them through their transition. For more information, call (877) 877-3356 or visit: www.safeinterventions.com. Kids Kount Therapy Services is a privately-owned pediatric practice founded in February 2008, with the mission of helping children discover and achieve their full potential, while supporting families through the therapeutic/learning process. Kids Kount Therapy’s highly-trained, certified, and experienced staff serve children (ages birth to 21 years), using a collaborative approach with physicians, educators, psychologists, therapists, and other specialists. Our unique, individualized approaches for intervention may include a combination of traditional occupational, physical, speech-language, educational, and/or audiological services paired with specialized programs/testing: customized iLs (Integrated Listening Systems) programs, Sensory Integration and Praxis Testing, sensory integration techniques, multi-sensory instruction, Orton-Gillingham methods, handwriting remediation, vision rehabilitation, movement-based learning techniques, play-based therapy, Beckman oral-motor assessment and therapy, and other techniques determined to be appropriate based on clinical observations and standardized testing. For more information, please contact us at: (251) 517-0355 or www.kidskounttherapy.com. Brandon and Debbie Knauss’ VIP is a nationwide intervention company wholeheartedly dedicated to helping those affected by addictions, substance abuse and/or mental illness. Debbie Knauss is a licensed registered nurse and chemical dependency counselor, trained in all models of intervention. 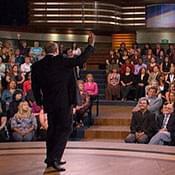 Brandon Knauss is a nationally sought after motivational speaker and interventionist. Please call (888) 536-7847 for more information. 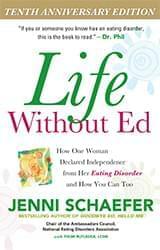 Jenni Schaefer is an internationally known writer and speaker whose work has helped change the face of recovery from eating disorders. She is the best-selling author of Life Without Ed; Goodbye Ed, Hello Me; and Almost Anorexic, a book about subclinical eating disorders in collaboration with Harvard Medical School. Visit: www.jennischaefer.com. For more than 50 years, hyperbaric oxygen therapy (HBOT) has been used to treat a variety of illnesses, such as diabetic wounds, traumatic brain injury, stroke, dementia, cerebral palsy and autism. Additional ailments that show improvement with HBOT are burns, sports injuries, fibromyalgia, Gulf War Syndrome, multiple sclerosis, Parkinson’s Syndrome, PTSD, Bell’s palsy, toxic neuropathies, rheumatoid arthritis and reflex sympathetic dystrophy. 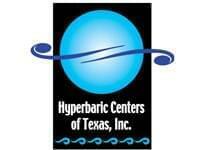 Hyperbaric Centers of Texas is the leading outpatient center in North Texas for HBOT and is under the direction of Alfred Johnson, D.O., doctor of internal and environmental medicine. In association with Johnson Medical Associates, Inc., he has more than a 35-year history of treating chronic illness, pollen and food allergy, toxic mold and chemical exposure, irritable bowel and asthma. Our goal is to carefully analyze the whole person and develop an individualized treatment plan for illness, disease and injury that works with your lifestyle. Our aim is finding the cause, not just treating the symptoms. At The Hall Center, they believe that the loss of natural hormones, stress, unhealthy digestion and build-up of toxins contribute to illness and decline. Through their unique approach, they make use of functional medicine techniques, bioidentical hormone replacement, nutrition programs and detox programs to counteract these processes. This is a 45-hour online program that empowers you to take control of your job search. Tony Beshara is the number one placement and recruitment specialist in the U.S., as recognized by the Fordyce Letter. He has personally placed 7,500 professionals on a one-on-one basis since 1973. With TheJobSearchSolution.com, you will receive a step-by-step, detailed formula for managing the job search process. Every aspect of an effective, successful job search is shared, from dealing with the emotional strain of having to look for a new career to strategies for starting a new job. If you manage the process, you don’t have to worry about the result. 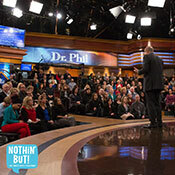 This $500 program is offered to Dr. Phil referrals for $200. Click on the logo to review and purchase.